Pay Attention to Your State Estate Tax Exemption – Law Offices of Dan W. Armstrong, P.A. While the 2017 federal tax cut means most estates won't be subject to the federal estate tax in 2018 and 2019, state estate tax is a different matter. Some states are not going along with the increase in the federal estate tax exemption. In 2017, Republicans in Congress and President Trump doubled the federal estate tax exemption and indexed it for inflation. In 2019, the exemption is $11.4 million for individuals and $22.8 million for couples. That means that as long as your estate is valued at under the exemption amount, it will not pay any federal estate taxes. With such a high exemption amount, very few estates will have to pay federal estate taxes. However, states can set their own estate taxes, and 12 states along with the District of Columbia have an estate tax. Additionally, six states have an inheritance tax, which taxes the person receiving the inheritance instead of the estate (Maryland is the only state that has both an estate tax and inheritance tax). Some states set their own exemption amounts, which have generally been lower than the federal estate tax exemption, but a few states tied their estate taxes to the federal tax. When the federal rate doubled, those states worried that they would be harmed by the decrease in tax revenue and they reexamined their estate taxes. Hawaii, Maine, Maryland, and the District of Columbia changed their estate taxes to no longer track the federal estate tax. In 2019, the state with the highest estate tax exemption is Hawaii with an exemption of $5.49 million. The states with the lowest exemptions are Oregon and Massachusetts, with $1 million. 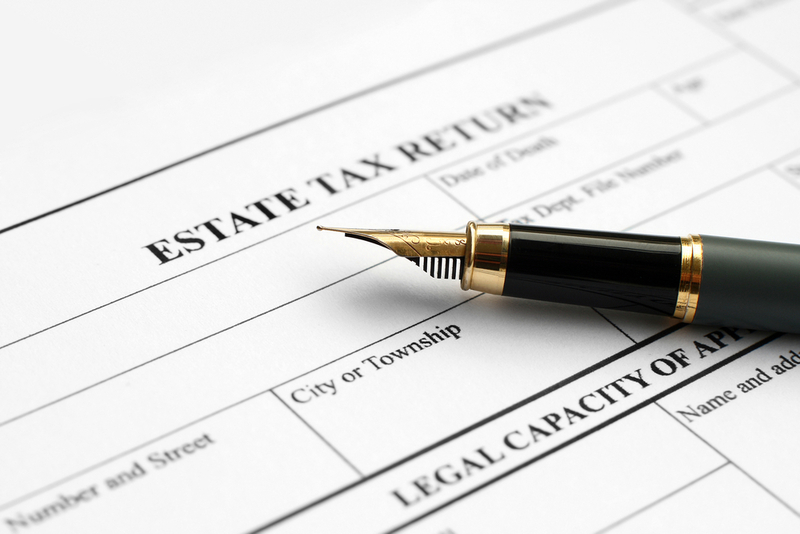 It is important to take state estate taxes into account when planning your estate. You should consult with your attorney to make sure your estate plan still works for you in light of the tax changes. For more information about state tax rates in 2019, click here.